The future belongs to the tech company that best harnesses artificial intelligence (AI) because today, AI is vital to understanding what consumers want and thus better design products for them. It is crucial in attracting consumers by delivering them the most customised and attractive content at the point they want it. And it is essential to providing cloud services that help corporations increase their efficiency and improve the way they operate. Microsoft, like Google, Apple, Facebook and Amazon, is betting big on AI. The company has some definite AI strengths. But it also is missing an important piece: widely used mobile technology. Without that, it will be tough or impossible for Microsoft to win the AI war. Let’s start off with the company’s AI strengths. The most important one is data. Machine learning, AI’s cutting edge, requires vast amounts of data, and Microsoft has plenty of it, thanks to its Bing search engine, its Windows and Office users and its LinkedIn social media site. Although Bing is a distant also-ran to Google’s search engine, it’s an excellent foundation for AI, because the second-most popular search engine still yields plenty of raw data. Another strong advantage is Microsoft’s direct-to-consumer and direct-to-business outlets for its AI work: more than 500 million active Windows 10 devices with the A.I.-based personal assistant Cortana built in. And Microsoft Office, which remains the dominant suite on the planet, increasingly has AI built into it for things such as proofreading and automatic language translations. All this not only helps Microsoft deliver the benefits of AI to its customers, but also lets the company fine-tune its A.I. algorithms by getting feedback on how well they work. But Microsoft is missing something very big in AI as well: a significant mobile presence. Google and Apple, via Android and iOS, gather tremendous amounts of useful data for their AI work. And gathering the data is just the starting point. Hundreds of millions of people around the world use the AI-powered Siri, Google Assistant and Google Now on their mobile devices. So Google and Apple can continue to improve their AI work, based on how people use their devices. Given that the future (and to a great extent, the present) is mobile, all this means serious problems for Microsoft in AI. AI is likely a big part of the reason that Microsoft kept Windows Phone on life support for so many years, spending billions of dollars while it died a slow, ugly, public death. Just before Microsoft announced in October that it would no longer continue development of the mobile operating system and only release bug fixes and security updates for it, the company had a 1.3 per cent share of the smartphone market in the US and lower than that in most other places around the world, including one per cent in the UK and Mexico, 1.2 per cent in Germany and zero per cent in China. Because of the utter failure of its mobile efforts so far, Microsoft is struggling to find ways to include mobile in its AI work. It has developed Cortana for iOS and Android, though few people will bother to give up Siri or Google Assistant for it. Microsoft has also made an attempt to get into the home AI market (which is a form of mobile) by partnering with hardware companies to develop Cortana-powered speakers. The first one, Invoke by Harman Kardon, hasn’t gotten particularly good reviews. It’s likely not selling well, either: After its initial late-October release, its price dropped 50 per cent, from $200 to $100. To make up for its mobile woes, Microsoft has signed a deal with Amazon to connect Cortana to Alexa, Amazon’s AI-powered digital assistant. The idea is that when someone issues a command to do something that Cortana does best — such as set up an appointment in Outlook — Cortana would do the work, but that when Alexa would be better suited for a task, such as searching Amazon, Alexa would take over. Initially, the cooperation will be a kludge. If you’re using Alexa, you’ll have to say, “Alexa, open Cortana” before issuing your command, and on Cortana, you’ll have to say, “Cortana, open Alexa.” In the long run, they’re expected to work more seamlessly. But that will only go partway toward helping solve Microsoft’s mobile AI problem. After all, Amazon failed dismally when it tried to muscle its way into the smartphone market with its ill-fated Amazon Fire Phone. The upshot of all this? 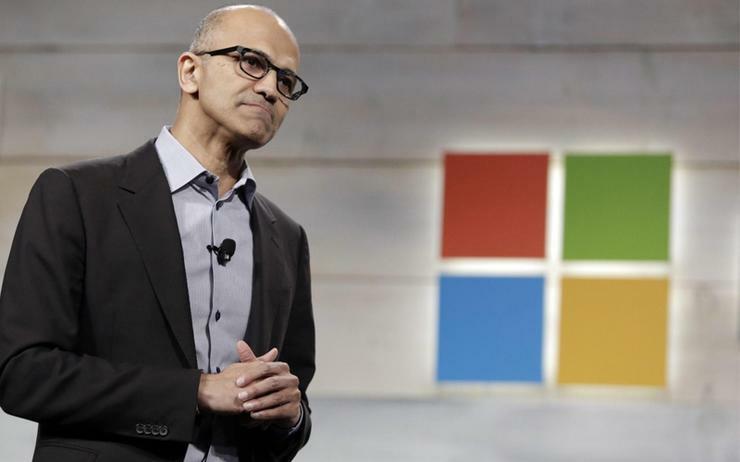 Microsoft likely won’t become dominant in AI, thanks to its failure in mobile. Windows and Office users, as well as enterprises that use Microsoft’s cloud-based services, will be the company’s primary market for its AI capabilities. But without a serious mobile presence, the company will remain an AI also-ran.